As a place of intrigue, mystery and menace, the East End once echoed with the sounds of heroic characters and dastardly deeds. Smugglers, murderers, and the great and the good all called these shipyards, wharves and alleys home. Characters such as George Hudson, Sunderland’s coal trade would not have been able to compete with other North East coast docks. This project has been on the ground for a year with consultation and collaboration taking place by all of the stakeholders involved. Much of the content comes from the work done by Living History North East and edited by us and Cath at Red Plait Interpretation. 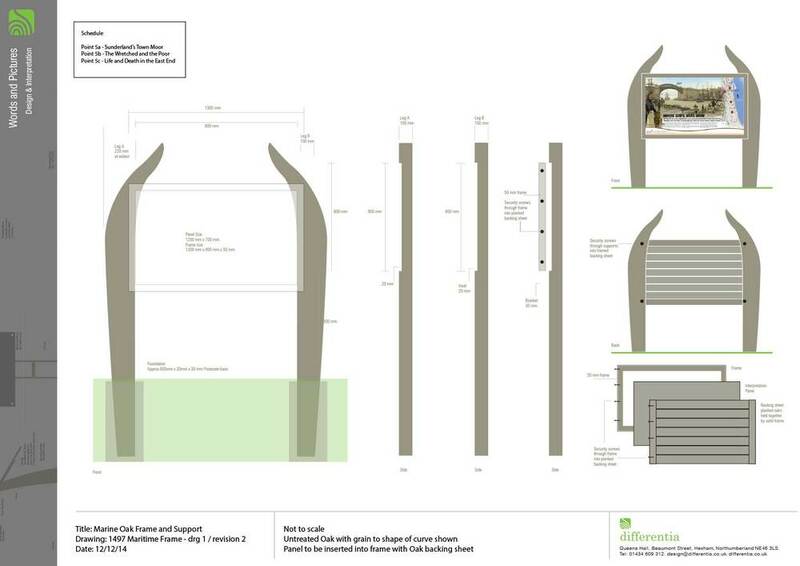 Perhaps the most dramatic outcome was the use of local fabricators in the the making of the structures for the interpretation structures. Sunderland Maritime Heritage are a ship building charity who aim to keep alive the skills of wooden ship building and they built the maritime interpretative structures for the panels in the East End. These structures were designed in the shape of a ship and uses oak which is intended to weather into the landscape. Next door to them is Fitz Fabrications who are experts in all things steel and they fabricated the steel elements for the project. Principle among these was the Pann's Bank man. He came from a photograph of one of the dock workers from Austin Pickersgill Shipbuilders whose workforce would walk up Pann's Bank after their shifts. This man was laser cut in steel and attached to the interpretation panel. 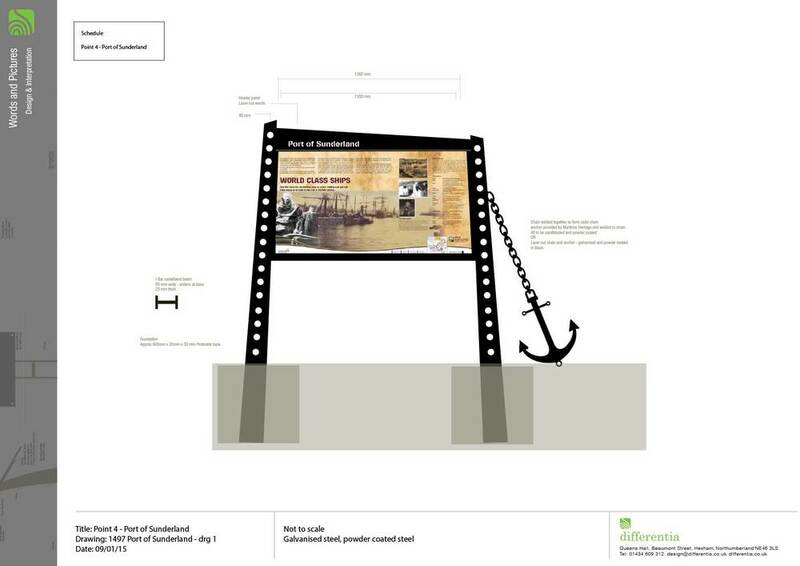 The panel itself uses a fantastic 3D visualisation of the dock area in the mid 1800's produced by Bob Marshall. This really makes the area live and brings history flooding back. 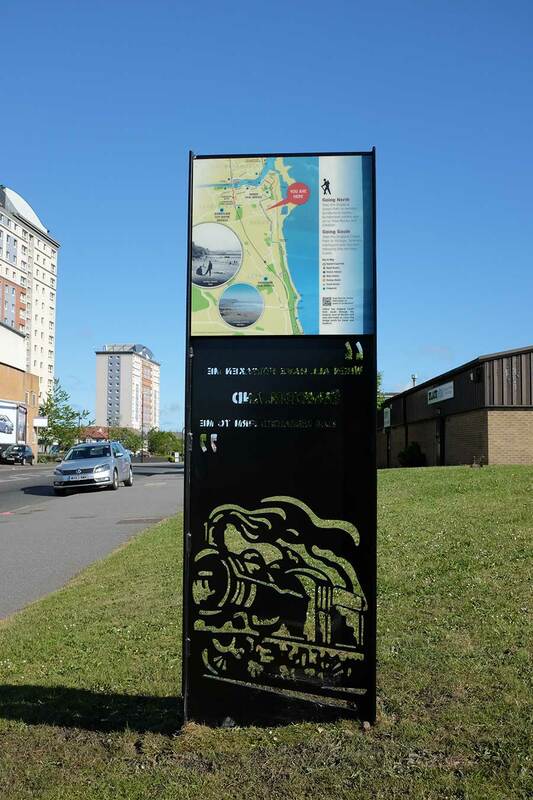 The style of the panels in the city end changes very much once we get to the coast and for these structures we created a more way marking and orientation style of interpretation panel. The form uses oak with sign trays containing the GRP interpretation panels. These can be removed and replaced. These are big panels and perhaps a big target for graffiti but then again the smallest signs get targeted and we really just have to keep on top of this by cleaning and replacing when necessary. The structures once again are oak but this time they are tall and heavy - made by our Hexham workshop at Robin Watson Signs. By increasing the quality of presentation on the ground we aim to increase the perceived value of the landscape and the place. And finally the font - this is from my favourite font foundry Northern Block and is from the Reznick family. A world emerges from the contact of the human being and the cosmos, represented by the Earth. When that contact is intelligent, sensitive, subtle, you have a world in the full and positive sense: a satisfying context, an interesting and life-enhancing place. 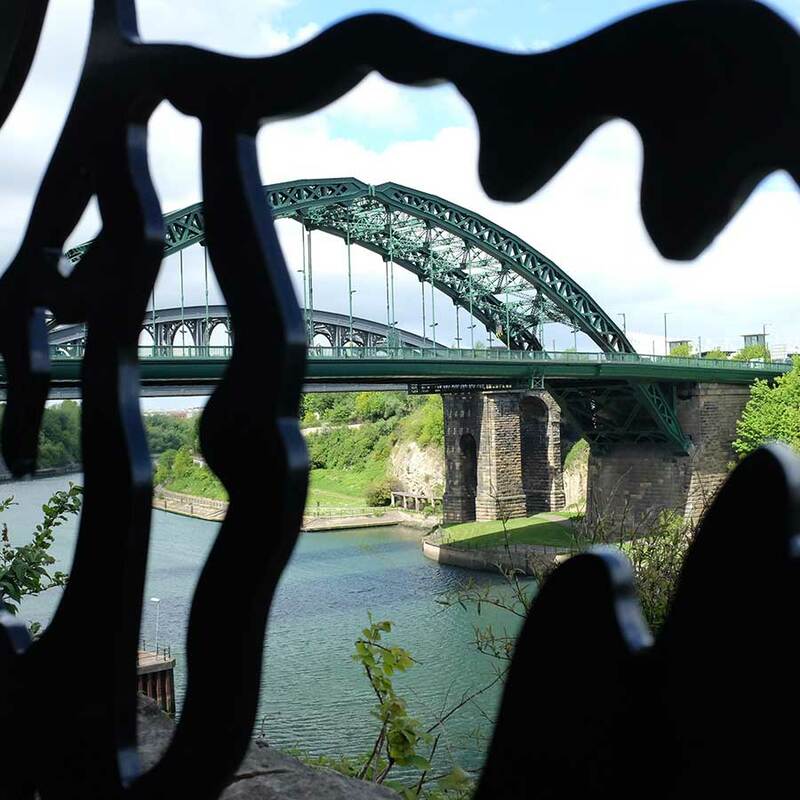 From Sunderland to Seaham - a city of interest and a coast of wonder.